This project started out over three years ago as a seventeen-page essay. Later I posted it online for comments. When a comment was posted that essentially said, “I have been married to a homosexual for over 20 years and what you say is true. 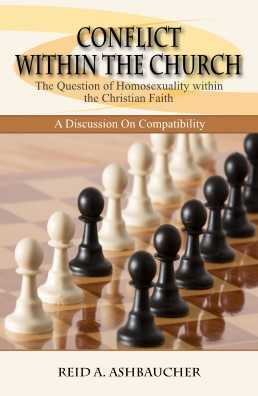 I wish my pastor would take the same position you do,” I decided to turn that essay into a book. Since then, it has been sitting on my laptop for over two years. Now it’s September of 2018, and I have decided it’s time for pastors and the church at large to hear what this individual was referencing. It is easy to take a position that is popular on this subject, but then, popularity was never what God was all about. It is my intent that the contents of this book reflect God’s point-of-view—and hopefully that matters.